Create 3D structures from 2D nets with the Window Plus 40Pc Set. Learn to build Tetrahedrons, Cubes and Octahedrons as well as space ships, rockets, hot-air balloons and submarines. Learn our unique way to build using combine, roll and pull-up techniques and see what your imagination can create! 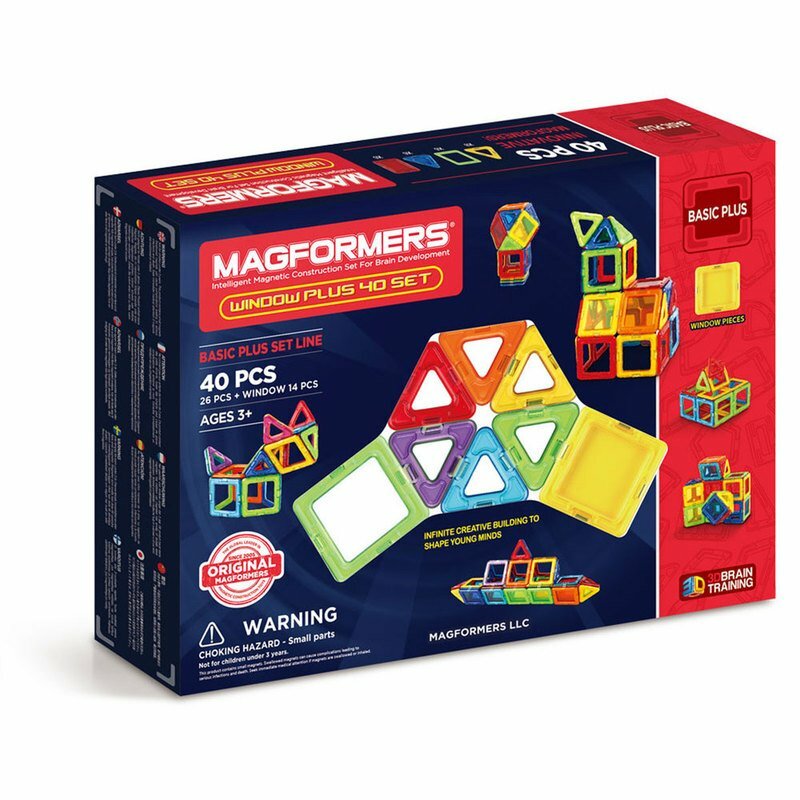 Each geometric shape contains magnets that never reject, so you’ll always hear the Magformers click. When playtime is over, use the magnetic power to simply stack and store.